Open Dell PowerEdge Server High Resolution Wallpaper is an excellent high quality photo wallpaper of an open Dell PowerEdge 850 Rack Server. We used this photograph in some article related to Server and one of our regular visitor has requested to post a high resolution wallpaper of that image. Copyright of Open Dell PowerEdge Server Photograph belongs to Rodzilla. The image may be used so long as the author is cited as said by Rodzilla. CC-BY-2.5; GFDL-WITH-DISCLAIMERS. Permission is granted to copy, distribute and/or modify this document under the terms of the GNU Free Documentation License. 3,504 Ã— 2,336 pixels ; resize as needed. It is a JPG download, the file is 980 KB in size. This Article Has Been Shared 5185 Times! Macro photograph of Vinca plant with blue flowers. High resolution wallpaper for your Windows 7 PC or Mac. Soda Abstract Wallpaper Set is an excellent quality digitally created high resolution wallpaper set that comes in various colors. Twitter Wallpaper, Twitter in color wood is a set of three excellent quality high resolution wallpapers. Refresh Wallpaper Pack is an excellent quality nature photo high resolution wallpaper for Windows PC, Mac, iOS devices and Zune. 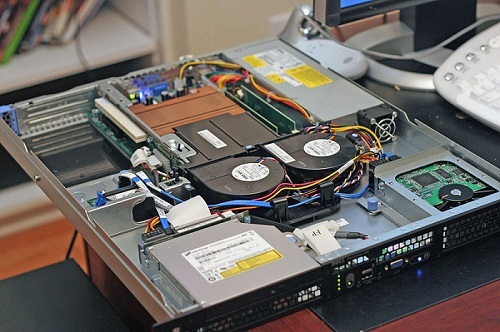 Cite this article as: Abhishek Ghosh, "Dell PowerEdge Server open cabinet High Resolution Wallpaper," in The Customize Windows, August 14, 2011, April 24, 2019, https://thecustomizewindows.com/2011/08/dell-poweredge-server-open-cabinet-high-resolution-wallpaper/.